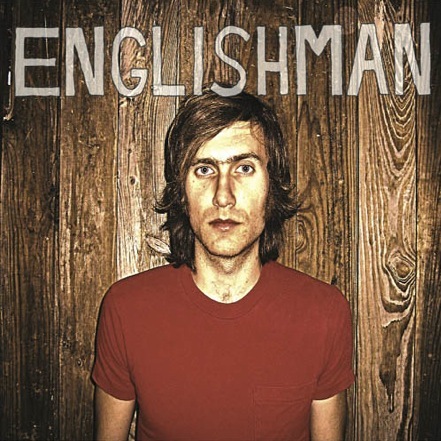 Lexington, Kentucky may not be known for its music scene, but Andrew English and co.’s project Englishman has recently grabbed a lot of my attention. Starting off with a soft-spoken count off to the project’s first song, his eponymous LP certainly reaches its grand arrival points, but even at these moments it manages to keep that same calm feeling throughout. The album starts with a gorgeous track “Planted,” a song about the promises of love, and by the end it makes its way to a big, beautiful, ambient end. “Angels and Earthworms” escapes the concrete sidewalks and the traffic of Nicholasville Road, preferring to paint the scene in a more rural setting, while “Boy T-Rex” takes a melancholy trip back to the memories of youth. All these songs move along at about the same, slow-burning, pace, but each has a different crunch to the particular sound or idea that it conveys. The mellow and ethereal sounds lend these songs a very autumnal feeling, and they mix these sounds with romanticized stories of summertime memories, leaving the listener content and relaxed. Englishman opted to record their album over the course of ten days in a converted barn that they had a hand in remodeling, and technically speaking, this album sounds great for having been recorded where it was. Each of the many instruments speak with certainty and are equalized very well, but are always light enough so that English’s clear voice is always sitting perfectly on top of the stack. The vocal harmonies are tender and never too loud, and even the fuzzy background noise from the less than ideal recording situation lends its own charm to the sound. There are the predictable “folky” techniques (guitar, bells, and field recordings) but there are also well-placed and less familiar instruments to the folk music canon (a large variety of percussion and even electronic samples.) They keep things light and tastefully balanced, giving you a lot to listen for in terms of complexities and nuance of the layers, even after several listens of this record. After a sweet, but slow first five songs, the album picks up the pace when it gets to “Pet Cactus.” This song plugs in some electric guitar and harnesses a driving kick drum, and has a pretty heavy feeling to it in terms of its lyrical statements. It meanders through a couple of songs, before it arrives the gorgeous and Samuel Beamesque track, “Classically Trained.” This song, as well as the remaining two, is nearly the perfect way to end the album. “The Sticks” has a chorus that invokes feelings similar to a mix of Death Cab for Cutie and Sigur Ros, and the final track, “Funnel of Love,” has some of the most perfect lyrics I’ve heard in a long time. Kentuckians are known for their tall tales, and Andrew English, despite his origins in Texas, is not immune to this affliction. His ability to create stories that feel like they borrow from dreams and folklore makes this album’s lyrics some of the strongest and most accessible I’ve heard. This album is not only beautifully written, performed, and recorded from start to finish, but the nuances and thoughtfulness makes it the kind that is very easy to listen to many times. Of course the album isn’t perfect; the tracks sometimes take a few measures to get tow where they’re going, but they’re always heading in a certain direction. The melancholy of the album could be lightened up by a couple more songs like “First Prize” (which isn’t coincidentally one of the best tracks of the album,) but it’s this feeling that gives the record a very tender and sincere feeling to it. When it comes to the local music scene from around these parts, I’d put Englishman right up there with Ben Sollee. It’s releases like this that make me proud to be a musician from Lexington, Kentucky. Click here to listen to and download Englishman.